Would you listen to The Statement of Andrew Doran again? Why? I probably would because there was so much that happened that I'm sure I missed something. The world building, though at times confusing, was awesome. I loved finding out about the Necronomicon and the monsters. It also felt very Indiana Jones to me, which I loved! In all this was a wonderfully written and imaginative read. While listening to it it played out as an Indiana Jones type movie in my head. I mean it had all the elements of Indiana Jones, mystery, Nazis, artifact retrieval, mayhem every where the doctor goes, but it had much more than that, it has zombie type things, magic, beasts and plenty of action! It starts off slow but once the action starts, it's pretty much non stop. There is so much that happens in the story that it's hard to summerise without spoiling something, so all I'll say is that this is a story that needs to be savoured to be fully enjoyed! The author put a lot into it and it shows. The depth of the story and the development of the characters was amazing. In all, I really enjoyed this. It kept my interest the whole way through and I was left reeling when some of the mysteries were revealed. I hope we see more from these wngaging characters!! Good storyline and development. Excellent characterizatons of humans and non humans. Descriptions of personalities and weaponry as well as environments clear. Loved the story and set up for next in series. Narration aspect done well, but character interpretation by perfomer grating and a disservice to the writer. The Cthulhu Mythos and thrills just keep coming! It was amazing. I couldn't believe how everything was connected. 10 thumbs up! Its like Indiana Jones crossed with Titus Crow! I had a friend recommend this author as someone to watch. After listening to this, I wholeheartedly agree! 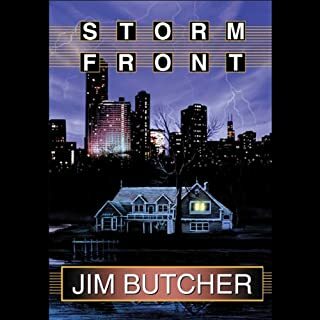 In a landscape filled with Dresden Files clones, someone willing to look at urban fantasy more like Brian Lumley is a refreshing change of pace. Moving the story back to WW2 era Europe helps give the story a flavor all its own. Andrew Doran is an Archaeologist, a minor mage and former instructor at Misketonic University. He is called in by the university's Dean, since it seems the English translation of the Necronomicon has been stolen by the Nazis and taken back to Germany to have its secrets unlocked by the Thule Society. Well, as much as Andrew hates the Dean, he knows that those evil spells in the hands of madmen bent on world conquest is bad. Traveling to Nazi occupied France, Andrew is connected up with some members of the French Resistance, Including their beautiful leader. They escape the Nazis in France to travel to Switzerland, where they can find a source who can point them to the Necronomicon's location. What they find is a twisted nightmare that almost kills them, although they do find the information they need. They are captured by the Germans, though, and are brought into Germany in chains. However, you cant keep a hero down, and in a scene reminiscent of the truck chase and fight scene in Raiders of the Lost Ark, they manage to escape, and make their way to Berlin where the book is being kept. What follows after they arrive is such a wild scene of chaos, dark magic, harrowing chases, necromantic rituals and discovery about the true nature of his ally. The ending sets up more books in the series, but it is a stand alone. A very satisfying ending with a great twist you won's see coming. I was impressed with the world building in this book. It is obvious the author researched the era thoroughly, and is also familiar with Lovecraft's Cthulhu mythos. The setting is very natural, and you get a real sense of being right in the thick of the action, In a WW2 era Europe. The hopelessness and despair, the suspicion and terror they lived through, as well as the otherworldly threats, really give it a palpable sense of tension and menace. The characters are top notch, with Andrew Doran being conflicted about his own power, and the accessibility of powers better left unknown by man. His allies are well fleshed out and described, and are believable in both their motivations and actions. The villains are especially fun, reminding me most of the Nazi's from the aforementioned Raiders of the Lost Ark. We know what their motivations are, and its very easy to loathe them. So, good job with the villains as well, even the surprise villain, who shall remain nameless. All in all, I highly recommend this book to anyone looking for a change of pace from the Dresden clones. Its a great combo of Urban fantasy and a period thriller. I am very excited to see where the next book goes. As far as narration, Shaun Toole is effective. He really nails the main character, but did seem to struggle a bit with accents. That being said, the narration was smooth, and it is very listenable. I wouldn't let a minor quibble keep you from listening to it. Again, I highly recommend this book. This is a great story for people who enjoy Lovecraft tales. It has great monsters and a main character who I felt compelled to root for him. Andrew Doran is a Indiana Jones type character, smart with human foibles. The narrator was good with the story but his German and French accents sounded very similar. It was an entertaining story and I enjoyed listening to it. Yea its a fun introduction to the Lovecraft universe that takes its own spin on things. What was one of the most memorable moments of The Statement of Andrew Doran? The chase scene was wonderful. Reminded me of Indiana Jones with some of the action in this book. Yea it feels like a scooby doo adventure with how quickly some of the encounters are solved. Take Harry Dresden and put him into a blatant Lovecraft universe. This is in no way a Statement. One of my big peeves with this book is the title as well as the VERY obvious Dresden pull. That being said, its actually not bad. I would recommend it. 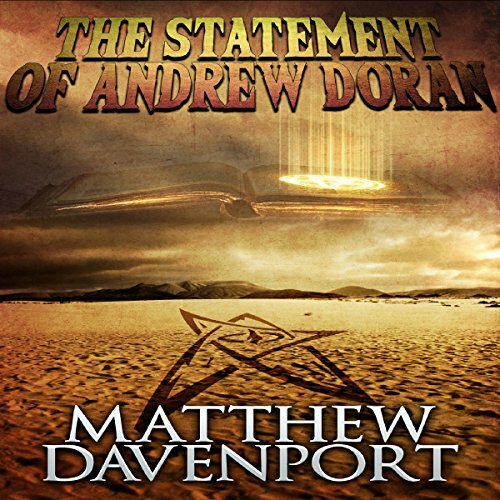 Where does The Statement of Andrew Doran rank among all the audiobooks you’ve listened to so far? When Andrew realized what Olivia truly was. Which character – as performed by Shaun Toole – was your favorite? The story was intense wrapped in intrigue as Matthew wove a web for his character Andrew Doran to unravel as he strive to complete his quest. 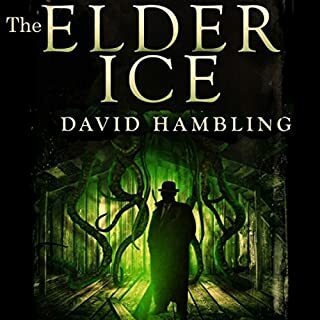 When I started listening to this book, I was expecting a traditional Lovecraft tale where the tension builds and builds and there's a final release in the last few pages as the protagonist learns what's really going on and either goes mad or faints. To use an amusement park metaphor, I was expecting a ride on one of the contraptions that lifts you higher and higher, pauses for a few seconds for effect, and then releases you, leaving you to plummet to Earth. What I got instead was a classic rollercoaster full of twists, turns, and thrills all along the ride. While set in HPL's mythos, "The Statement of Andrew Doran" is not a classic Lovecraftian pastiche, but it's more similar to something HPL's pen-pal Robert E. Howard (creator of Conan, Soloman Kane, and many other memorable characters) would have cooked up. We have the super-manly and fearless Dr. Andrew Moran who always knows how to get out of a pickle with brute force or a magical sleight of hand. We have the love interest who we meet fighting for the French resistance, a dependable supporting cast, and we have Nazis. Lots and lots of Nazis. The end result is one of the more interesting tours through Lovecraft's bestiary and atlas as Dr. Doran encounters a wide variety of races and characters from HPL's original weird tales. What the story lacks in existential horror is made up for with gunfights, interrogations, and a romp through Europe in the early days of World War II. If you're looking for a tale to chill you to the bone, this probably isn't the right book for you. 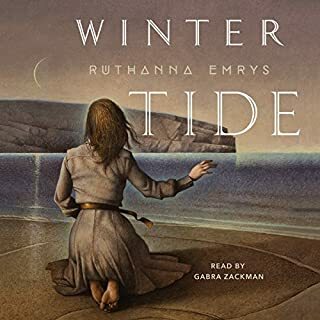 If you're looking for something light and fun to listen to on a road trip or while hanging out on a beach this summer, you can't go wrong with this tale. I really enjoyed the story and look forward to reading more. It has all the stuff you're looking for in lovecraftian horror and Indiana Jones. "no time for love Dr doran" give it a shot you won't be sorry. 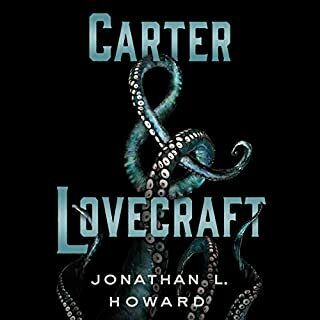 As a maddened fan of the Lovecraft mythos I loved this book. The headline review is: action packed, reference packed, fun read. If you are a fan then please do read the book. Iä! Longer review: This is a book that rewards the listen. It had a slightly clunky start but the writer soon settled in to his forte which is clearly gripping action scenes. 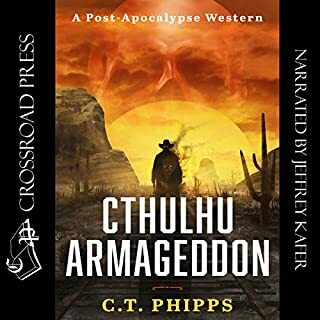 I loved the Lovecraftian characters and references which were weaved in seamlessly to a roaring, rollocking series of chars and shootouts. 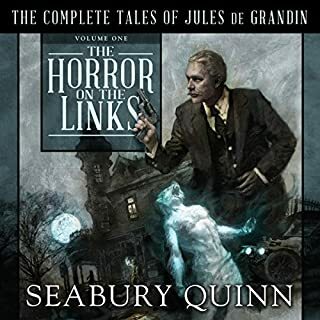 Taking inspiration from the pulp heroes of yesterday and the pulpy, tentacled thoughts of the old gentleman of Providence the writer has weaved a story of Nazi villains, Whateley children, fungi from Yuggoth, those with the 'Innsmouth look' and so many more allusions. An HP Lovecraft addition to the canon. More please! The reader was little variable, but did well channeling Harrison Ford as Indiana Jones.